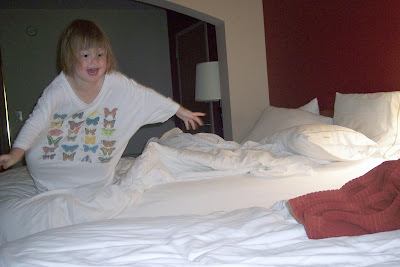 Yes, her Uncle Greg and Aunt Kristin let her jump from one bed to the other after. 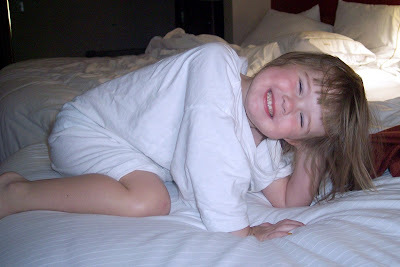 She stayed with us after the wedding because Greg's mom watched her and Cate while we stayed late at the reception. It was a slumber party of sorts. 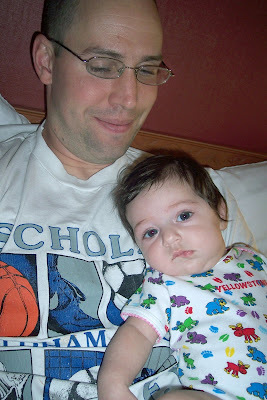 Although Mom and Kevin forgot to pack Milla clothes, so she had to make do with one my T-shirts. I think she liked it.